Ben Clanton's Squiggles and Scribbles: COMING SOON! A bunch of books coming out soon! Starting with . . . I am super happy to report that Rex, Gizmo, Wild, and Sprinkles (the stars of my book REX WRECKS IT!) now have a second book . . . and perhaps also a new friend? Boo is new. And even if the other kids are welcoming, it can be scary being new, especially for a shy ghost who can’t play any of their games. ("You tagged me? Oh, sorry. I couldn’t feel it.") Can Boo find a way to fit in and make friends with the rest of the group? From the creator of Rex Wrecks It! comes a funny story about feeling invisible — and finding a way to be seen and appreciated for who you are. Boo was actually going to be in the first book (REX WRECKS IT! ), but didn't have a major role in it so was cut to add more focus to the main four characters. At the time I really didn't want to cut Boo, but now am happy that I did because it set up this new story. 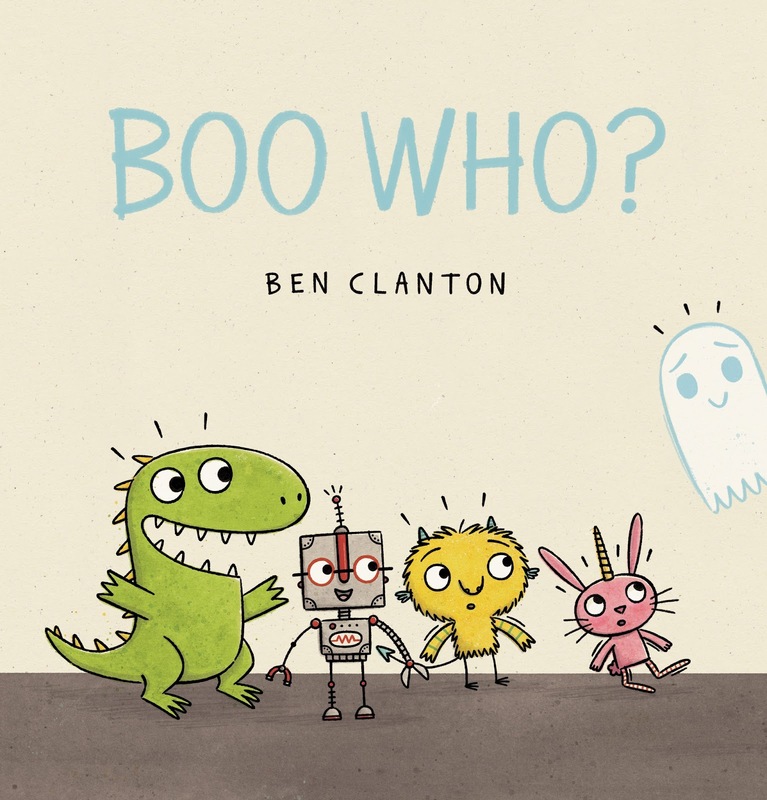 I imagine this book might get pegged as a Halloween title because of the cast and because of Boo in particular, but I think it is much more a beginning of school story. It is all about how difficult it can be to make new friends and find a sense of belonging. BOO WHO? comes out August 1st! First up is a project I have dreamed about putting together for some time. DRAWN TO COLOR is a 64 page coloring book for the whole family. It features artwork with Pacific Northwest subjects by 22 Pacific Northwest illustrators (including me!). There is a huge variety in the book of both style and detail, so really a bit of something for everyone. 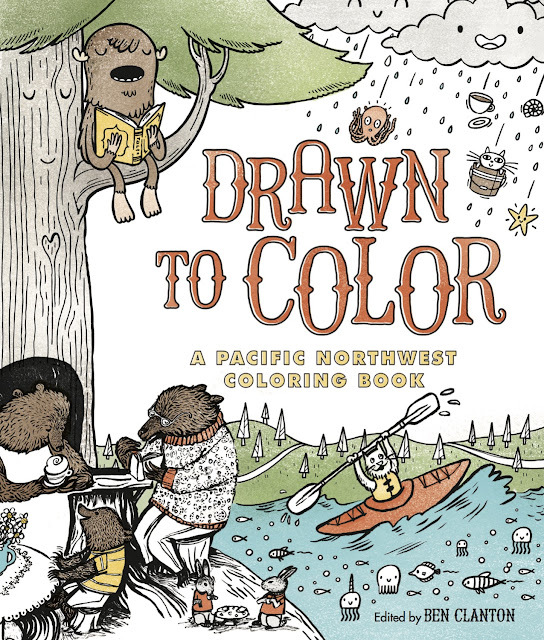 DRAWN TO COLOR comes out August 22nd! For those in the Seattle area there will be a color / book launch party at the end of August at U Books in U District. Frank loves being a spider, especially the part that involves having eight glorious legs. But one morning Frank wakes up missing a leg. One of his friends exclaims, "I barely recognize him!" Another friend asks, "Are you still a spider, Frank?" Is he still a spider? Frank doesn't know. 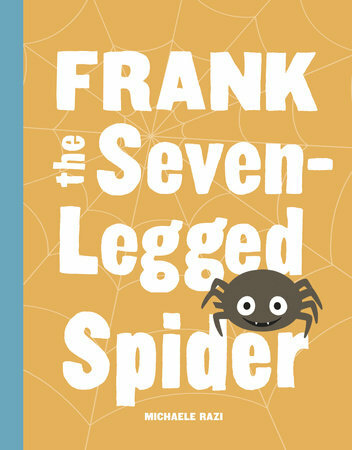 A funny and heartfelt quest filled with surprises ensues as Frank searches for his leg and the answer to his identity. Hooray and congratulations to Michaele on her debut! And for FRANK who will catch you and stick with you in the best possible way. And coming out October 3rd . . .
WHERE'S HALMOMI? is one of the most brilliant books I have ever encountered. Seriously, it is up there! And if I was on the Caldecott committee I would be pushing this book for the award. It is a 96 page picture book with graphic novel leanings, but I wish it was even longer.